Cochlear Implantation in India. Cochlear implants: Who, how and why? Cochlear Implant is a small artificial hearing device which is designed to produce hearing sensation by electrical stimulation of nerves inside the inner ear. Also known as Bionic Ear, the implant comprises of two parts: an external portion that sits behind the ear and the internal portion which is surgically planted under the skin. 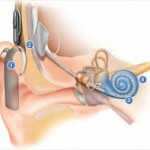 The cochlear implant surgery is of great help to those with impaired hearing. * a microphone, which picks up sounds and amplifies them. * a speech processor, which processes and arranges the sounds. * a transmitter, which receives signals from the processor and converts them to electrical impulses. 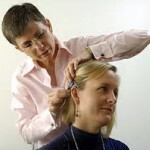 Cochlear implants bypass damaged portions of the ear and directly stimulate the auditory nerve. Signals generated by the implant are sent by way of the auditory nerve to the brain, which recognizes the signals as sound. Hearing through a cochlear implant is different from normal hearing and takes time to learn or relearn. However, it allows many people to recognize warning signals, understand other sounds in the environment, and go to a regular school and enjoy a conversation in person or by telephone. Adults who have acquired speech but have become deaf secondary due to injury, illness or ototoxicity. The deafness must be of sensorineural type (i.e. 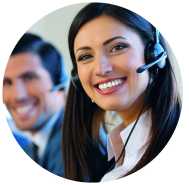 a hearing impairment of the inner ear resulting from damage to the sensory hair cells or to the nerves that supply the inner ear) affecting both the ears and the hearing aid must have been used (adults) for a period of 3 – 6 months with very little or no help. Having a functioning auditory nerve. Having no medical reason to avoid surgery. Congenital deaf children with speech disability. Cochlear implant surgery lasts about two hours and is performed while the patient is under general anaesthesia. The electrode array is inserted into the cochlea. The receiver/stimulator is secured to the skull. Typically, patients remain in the hospital for two nights. They have a bandage on their head which is removed after four days. Patients return to school or work as soon as they feel well enough to do so, usually within a week of surgery. Activation of the implant takes place two to three weeks after implantation, allowing enough time for the incision to heal properly. Following this the implant is ‘programmed’ or ‘mapped’. 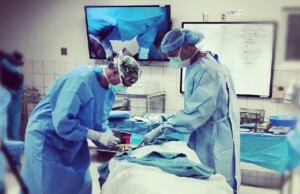 Mapping is done on a regular basis during postoperative rehabilitation to fine-tune the processor and get the best performance as the patient gets used to hearing with the implant. Cochlear Implantation Programme begins with the surgical implantation of the device. There is an extensive period of post operative rehabilitation. This is a very crucial period where the patient, parents (of the patient), audiologist, speech therapist and our team of Junior and Senior ENT Surgeons work together in rehabilitating the hearing deprived patient to sound and speech.